Richard joined CFG Law in 2016 as Chief Executive Officer. 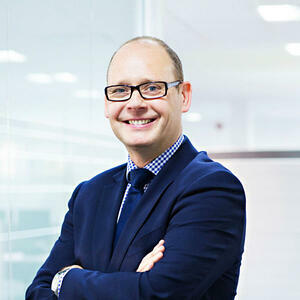 Prior to joining the team, Richard gained extensive experience working in the legal and financial services sectors. With over 15 years’ experience at board level, he has a clear understanding of the operational requirements and business strategy to drive the organisation forward and deliver excellent client-focused service at all times. He possesses the skills critical to evaluating services and ensuring clients are central to delivering outstanding legal services. Richard is a regular conference speaker and has written published papers on the future of the legal services, ensuring that the core focus is always on the clients’ needs. Identifying continual performance improvements to deliver CFG Law’s market leading and innovative approach to personal injury. Designing and leading organisations to ensure systems are in place to deliver high customer service consistently to all clients. Listening to what clients tell us and ensuring that a genuinely client focused organisation is built. Using the claims process to assist clients in accessing treatment, early rehabilitation and other vital support, delivered by leading experts. Giving clients the best chance of recovery and quality of life following a serious injury. Passionate advocates for early intervention, rehabilitation and client-centric approach. Providing outstanding client service, delivering high-level legal expertise and all-round support to clients and their families. Motor racing and enjoying as much spare time with my family as I can.